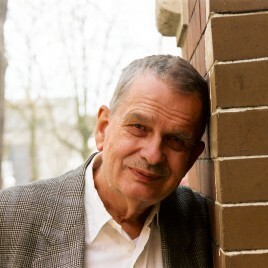 Lithuanian poet, philosopher, university lecturer, and longtime friend of Czesław Miłosz. Activist in the Lithuanian and Russian anti-communist opposition. Since 1977, Venclova lived in exile in the United States, where he lectured at the University of California on Miłosz’s invitation. Since 1993, he’s been a professor of Slavic languages ​​at Yale University. Member of the editorial team „Literary Notebooks” and translator of poetry by Cyprian Kamil Norwid, Zbigniew Herbert, Czesław Miłosz and Wisława Szymborska.